Are you looking forward to playing Destiny? Do you have a PlayStation 4 and a PS Vita? Well, chances are, if you said “yes” to all three, then there’s a very high possibility that you’ll want to try Remote Play with the game at some point. 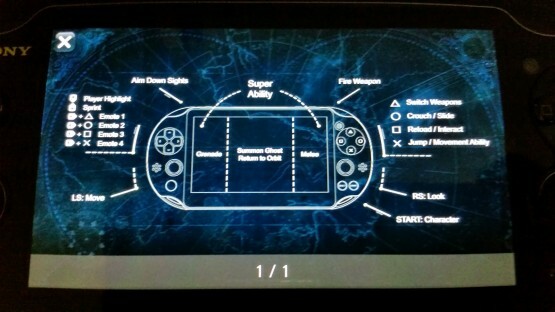 Fortunately, we don’t have to wait until the game’s released to find out how the control layout for Destiny will translate to the PS Vita. Posted by NeoGAF user WITH1982, it shows us how the Vita compensates for lacking a few buttons compared to the DualShock 4. Based on the screen, it seems running and maybe doing emotes will be a bit harder than the norm, but it’s a fair trade-off given you can technically play Destiny wherever you are — provided you have a PS4 and a strong enough connection, that is. Anyone planning to play Destiny on the Vita via Remote Play or would doing so make the game a chore rather than fun?